shrink tunnel machines|manufacturers and suppliers|in Mumbai,India. We are engaged in offering a comprehensive range of Shrink Tunnel that offers superior performance, easy operation and precise functioning to our clients. Moreover, our range of Shrink Tunnel is widely used for packing applications to extremely cover pack articles with heat shrink films. Shrink Tunnel wrapping machines suitable for gift's confectionery, bottle, cosmetics etc. It's a high speed of sealing machine and high equipment sealing. The complete process is visible & is furnish with L- sealer shaped. The automatic process of shrinkable pouch complete with web- sealer. We are provide very high quality of heat-sealing machine and branded shrink machine. It is very easily used. 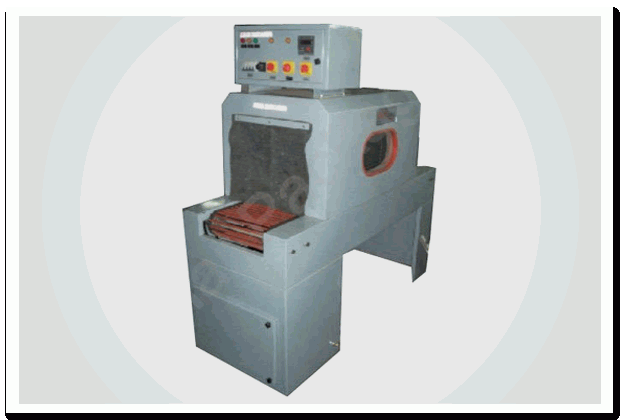 We are one of the most promising shrink tunnel machines manufacturers in Mumbai, India. We manufacture as well as export various other packaging machines apart from simple shrink tunnel machines. There may be several shrink tunnel machines manufacturers in Mumbai but we specialize in heat shrink tunnel machine, shrink chamber machine, shrink wrapping machine, portable shrink tunnel machine, etc. All the shrink tunnel machines that we manufacture comply with international standard quality.